Be it playing beach volleyball, sunbathing, surfing, paddle-boarding or partying in Hermosa Beach, our limousine rental service offers you the most memorable and pleasurable experience. ULC’s limos at Hermosa Beach are custom designed and maintained to meet every particular customers’ need. ULC’s limousine service covers not just Hermosa Beach, but all of Southern California. 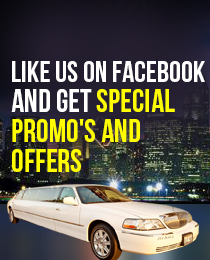 Our Hermosa Beach rental limo fleet consists of all the latest and most popular models of limousines and party buses. We understand every need of our customers and are meticulous about our limo rental service in Hermosa Beach. Our limo rental service in Hermosa Beach is characterized by professionalism in our chauffeurs and management, using the latest location technology and providing customer-friendly chauffeuring. Every Hermosa Beach limo rental from ULC is well maintained, inspected for safety, insured and promises you a smooth and comfortable travel. Hummer limos, Lincoln limos, Party buses, Luxury sedans, Stretch limos, and SUV limos – we have it all in our Hermosa Beach limos fleet. Which Hermosa beach Limo is Right For You?